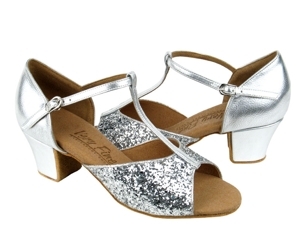 Heel: 1.6" Heel, matching Silver Leather covered and with leather toplift. 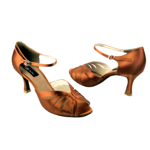 Sole: Sueded split leather extended and finished to heel bottom Tan color. Steel shank for support.American sizes: Size 4.5 - 10 in full and half sizes, Medium width.